Jane is CEO of Yandex Data Factory. She ensures that the company fulfills its mission of finding new ways for utilizing Yandex’s big data processing and machine learning technologies outside their core applications and markets. Before taking up the leadership of this new business, Jane was serving as Chief Executive Officer of Yandex’s e-commerce payment service Yandex.Money, which she joined in 2005. Under Jane’s leadership Yandex.Money became one of the strongest players on the country’s e-commerce market and one of the most recognized e-payment brands in this county. Prior to becoming head of Yandex.Money, Jane served as Chief Product Officer at Yandex. In this role, she helped Yandex to reach the leading position on the internet market in Russia and gain popularity with its wide range of web-based products and services. 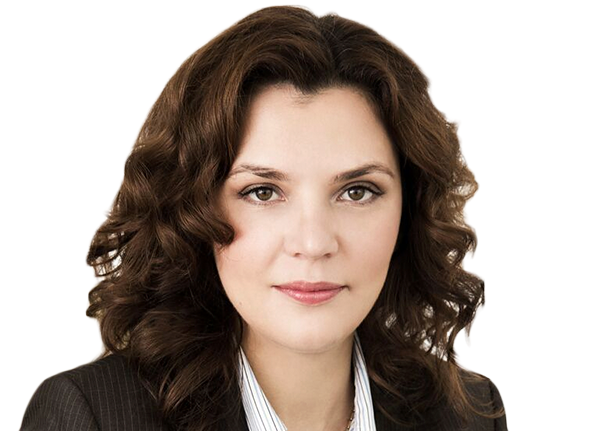 Alongside her duties as CEO of Yandex Data Factory, Mrs Zavalishina remains on the board of directors of Yandex.Money. Yandex Data Factory are the machine learning and data analytics experts that use data science to improve business’ operations, revenues and profitability. By building upon the real-time personalisation and predictive analytics technology of parent company, Yandex, the largest search engine in Russia, Yandex Data Factory helps clients improve their business and deliver measurable results through the exploitation of their own data. Yandex Data Factory offers scalable, SaaS-driven machine learning services to a wide variety of data-reliant verticals, such as retail, financial services, travel, and telecoms, who wish to use their data for purposes such as improving personalisation, delivering tailored cross-sell and upsell recommendations, preventing customer churn, etc. The key technological stack of the company also includes computer vision, natural language processing and speech recognition. Yandex Data Factory was founded in 2014 by Yandex and is headquartered in Amsterdam, operating throughout Europe. This new version of the platform is more than likely meant for those who have https://www.celltrackingapps.com not yet upgraded to the latest iteration of ios just yet.